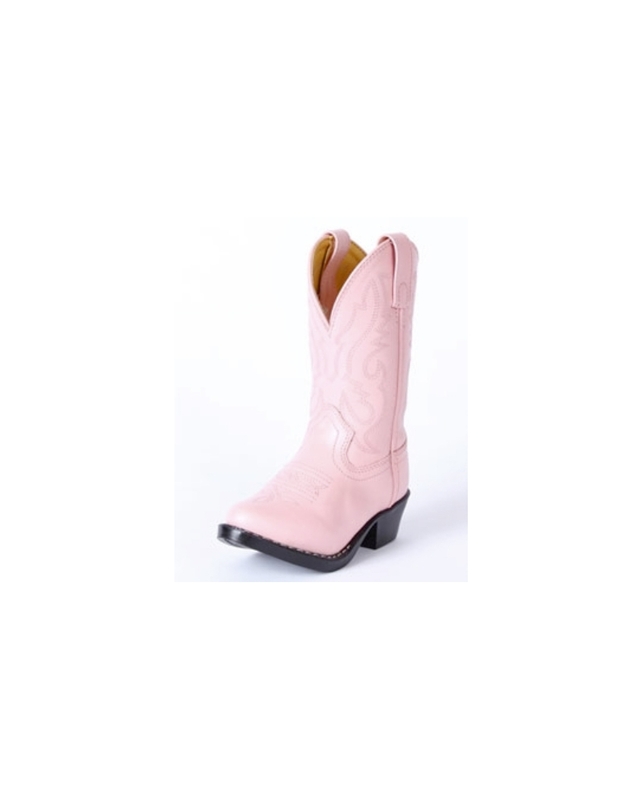 These toddler girls' western boots are light pink with pull straps and piping. They have a soft synthetic leather foot and shaft, shaft seams are taped, tricot and foam cushioned shaft, cool white cotton lined foot, full cushion insole and non-slip soles. 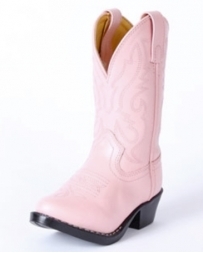 The uppers are soft and flexible. Imported.